First off, let me say how happy I am to be on the blog tour for Jennifer's upcoming book, Torn Away! Big thanks to Shane @ Itching for Books for hosting the tour! 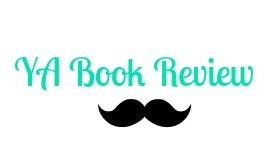 On my stop, I have a review and let me say it was a great, amazing book! Goodreads Synopsis: Born and raised in the Midwest, Jersey Cameron knows all about tornadoes. Or so she thinks. When her town is devastated by a twister, Jersey survives -- but loses her mother, her young sister, and her home. As she struggles to overcome her grief, she's sent to live with her only surviving relatives: first her biological father, then her estranged grandparents. I have to say...this is my first Jennifer Brown book and I can proudly say it won't be my last! Torn Away was a great, fresh, and riveting novel that was just pure amazingness. Everything from it's simple plot to it themes, this one hits it home for me, job well done Brown! In Torn Away, we meet Jersey Cameron who lives in the tornado filled town in the Midwest. Her life changes when she experiences a tornado that kills the people very special to her - mom, sister, and home. I really like Jersey's personality from start to finish. She had such a simplicity to her that isn't over bogged down by heavy characterization. Her personality fit perfectly with what Brown was trying to get across: creating a new definition of family. I LOVED her message and her characters really helped the plot move and feel realistic, which is very important in realistic fic these days. I love love love Brown's writing and I am so hooked to read her books soon! She has such a simple, straight forward with her writing, its so easy to read. You actually feel yourself in the characters' shoes, and I really did in Jersey's shoes. Everything from the tornado that strike her house to finding shelter, it was raw and vivid. Liked everything about it. I actually did think if I was in Jersey's place, what would I do? It was real and scary because these things actually happen. And it was great seeing how people can recover their lives despite the odds. Brown gets a strong message across, clear and simple. 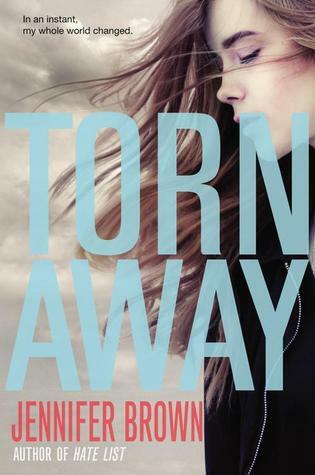 Overall, Torn Away is a great YA, realistic novel that is real and honest. Every reader can connect to Jersey and her situation, I loved it! Pick this one up soon! I've been hearing wonderful things; I can't wait to read it myself. I'd like to see how she was changed by the events of her life. BlueHost is ultimately one of the best web-hosting provider with plans for any hosting requirements. Hiatus + Happy Memorial Day!